What does the "Cross Domain Blocking" feature do? 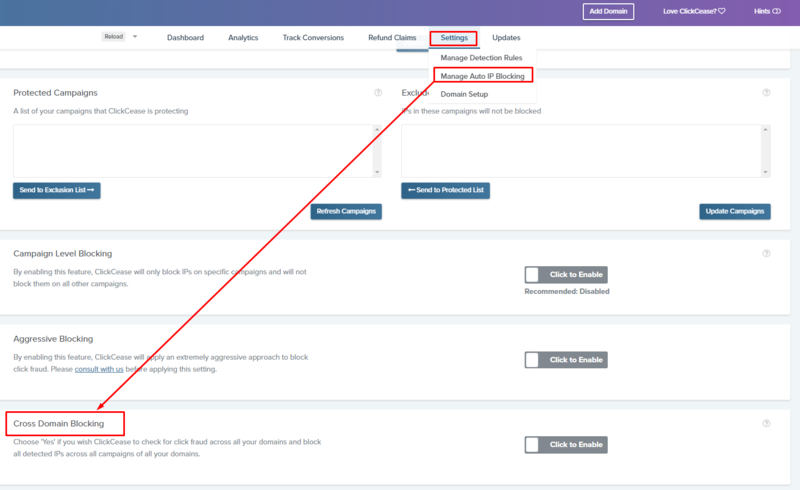 This feature is only relevant to users with multiple domains in their ClickCease account. When the system detects fraudulent activity in one of the client’s campaigns, that IP address will be added to the exclusion lists of all of his campaigns (including those in his other domains).